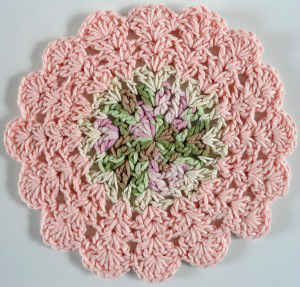 Enjoy the Silky Pink Crochet Dishcloth and other patterns in the Crochet In The Round Dishcloth Set. 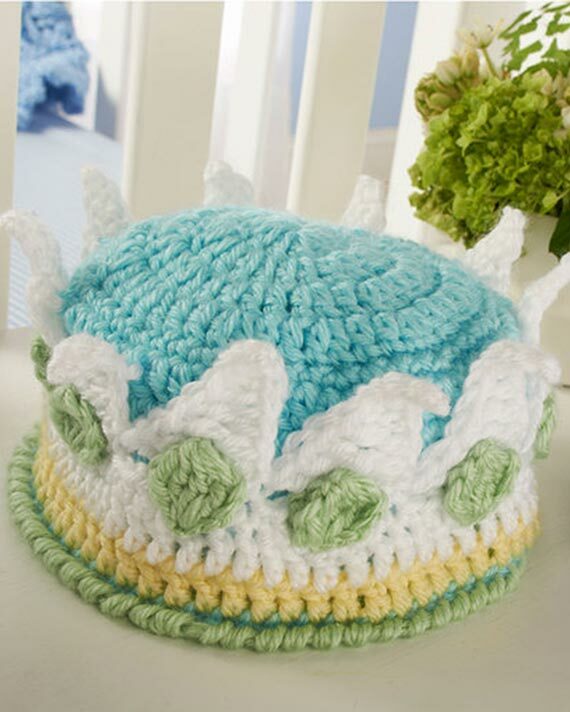 There is not a link to download this dishcloth pattern. I enjoy all the patterns for all the dishcloths and I have downloaded all of them until this one. Please provide the link for us. Thank you. May you and your family have a wonderful and safe Christmas and New Year!!!! I just love this pattern~not a fan of pink but this one is not harsh at all~beautiful!!!! 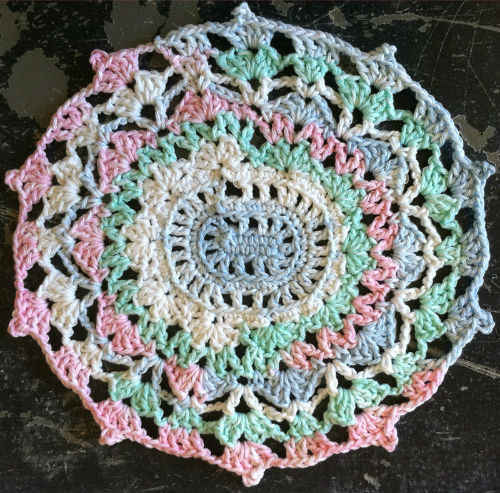 I would like to take this moment to thank you Maggie and all the other crochters who have sent in their patterns so that every day we can look and make a new dish cloth. I so look forward to turning on my computer every day, just for the Maggie’s dishcloth challenge. I really do not know what I am a gonna do when we reach our last pattern. As I am a stay at home (older generation)I sure do have lots to crochet and every pattern you learn something new. God bless you all, and please keep up the good work, and maybe we could have another challenge we can think of to do. Thank you for being a blessing to me, even when my days don’t feel so good. Is there a correction for this dishcloth. Can’t seem to get it quite right. I love these patterns and sorry to see them go. Thank You for sharing them free of charge. I’ve loved all the dishcloths this year. I’m going back and trying some I didn’t have time for in December. Like the above post, I think this one needs a correction. Row 4 starts off with ch 4 (counting as dc & ch 1) but then there’s no more ch 1 between any other shells and (single) dcs. Then row 5 & 6 start with ch 4, 2 dc in same sp, which seems to be your first shell, but if so, shouldn’t it be ch 3, dc, ch 1, 2 dc. Guess I’ll just try it like I think it’s suppose to be. Thanks again for providing us dishcloth addicts a year of patterns!